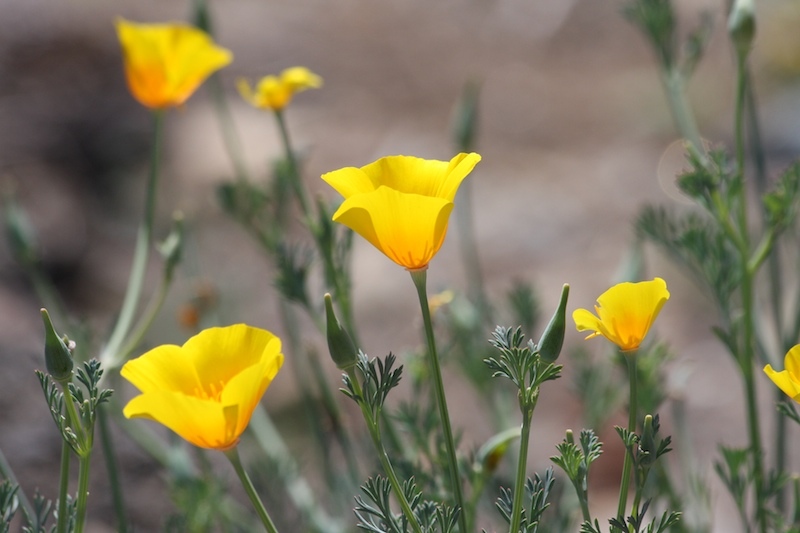 Wild poppies in the Sierra Nevada foothills, en route to the hideaway. 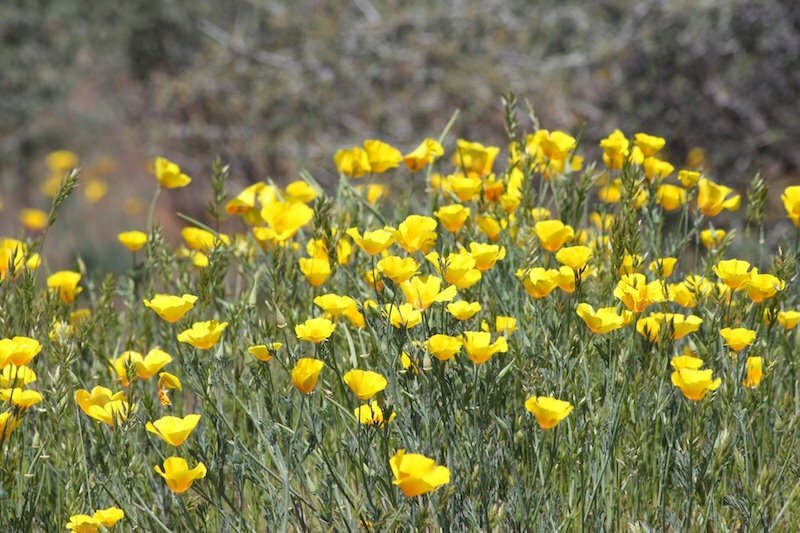 There's something about poppies, Mad...in whatever color. 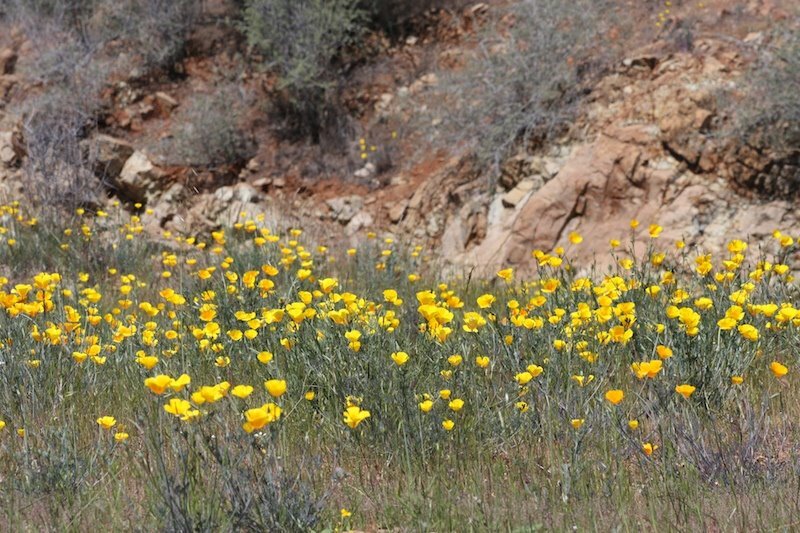 I will always remember California for its poppies! The yellow is so pretty, particularly in contrast to the brown background. Again. . . just beautiful. Lovely! Sunshiney patches of colour. I think my mum had some of those CA poppies growing in her garden in UK. I really have to visit CA again soon and do some exploring, some of the pics you post are so lovely. I too love poppys, we used to have a few around here but don't know what happend to them. Sorry i havn't been checking here for a few days but i have the crud again and it is so bad this time around, now my son is coming down with it. UGH!